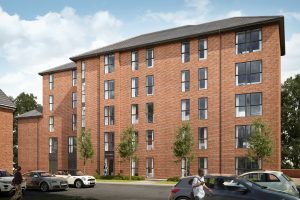 “Kitwe are delighted to work once again for G C Capital Ltd on constructing a 64 bed Student Accommodation Block on Smithdown Lane in the heart of Liverpool’s University District and a stone’s throw away from the new Teaching Hospital . Works on the £2 million project started on site in May 2017 and will be finished in August 2018 ready for the start of the 2018 student university year. The five storey steel frame building will form 64 bedrooms built in 9 cluster units. Each cluster will contain up to 8 en-suite bedrooms with a shared lounge/kitchen facility”.